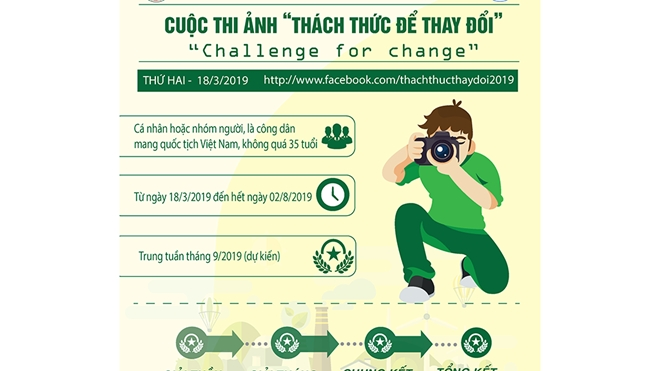 Under the contest, Vietnamese individuals and groups aged below 35 are invited to send a set of before-and-after pictures showing themselves cleaning up rubbish, protecting the environment, and working for social welfares. The two photos should highlight the difference between the littered places place before and after their clean-up activity. Each entry should be included with a 200-300 word description on the time and location of the activity as well as the participants’ feeling about the act. The competitors are also requested to post the pictures on their personal Facebook page, tagging at least three people, with hashtags #ChallengeForChange and #thanhnientinhnguyen. In the qualification round, the organizing board will present 20 ‘Photo of the Week’ and five ‘Photo of the Month’ prizes, each worth VND500,000 and VND 1 million, respectively. 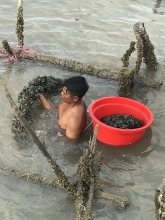 The contest will run until August 2, 2019, and the awards ceremony is scheduled in Mid-September, during which one first, two second, and three third prizes, totalling VND29 million, will be given to the most outstanding entries.